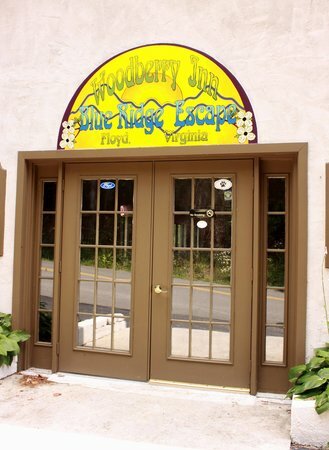 WOODBERRY INN IS LOCATED JUST OFF BLUE RIDGE PARKWAY AT MILE POST 174 IN MEADOWS OF DAN, VIRGINIA. THE RECENTLY REFURBISHED INN IS SURROUNDED BY BEAUTIFUL MOUNTAIN FARMS, FORESTS AND LANDSCAPES AND OFFERS COZY, COMFORTABLE BEDROOMS WITH 1 QUEEN OR 2 FULL BEDS AND A COMPLIMENTARY CONTINENTAL BREAKFAST. CABLE TV AND FREE WIFI IS ALSO OFFERED PLUS THEY ARE DOG FRIENDLY ($10.00 PER STAY). THEY ALSO HAVE A RESTAURANT AND BAR ON SITE. 540/593-2567 OR INFO@WOODBERRYINN.COM FOR RESERVATIONS.